Outside of skin cancers, breast cancer is the most common cancer in American woman. Women have approximately a 12% chance of developing this cancer sometime in her life. There are more than 3 million breast cancer survivors in the U.S. When cells in the breast begin to grow out of control due to changes in DNA, breast cancer can begin. Often from a tumor, these cells may be visible on imaging or felt as a lump in the breast. If the cells invade other tissues or spread to distant parts of the body, the tumor would be considered malignant. While men can get this cancer, it is most commonly found in women. Breast cancer can originate in any part of the breast but is commonly found in the ducts and glands. It is important to note that not all breast cancers can be felt as a lump in the breast, which is why screening mammograms are so important. Any lump or change should be discussed with your healthcare provider. Breast cancers can spread to other areas of the body through the lymphatic system or through the blood system. If cancer cells are found in lymph nodes, there is an increased risk the cancer may have spread to other organs and can affect the treatment plan. This is not a sure fact, as some women with cancer in their lymph nodes do not have metastases. Finding breast cancer early can help improve the prognosis of the disease and allow for more successful treatment. Self exams are an important part of overall health, but should not replace screening mammograms or other screening tests. These tests may help identify cancer before any symptoms show up. A new lump is the most common symptom of breast cancer. Any new lump should be checked by a healthcare professional knowledgeable in breast diseases. Other risk factors you have no control over, such as your age, being a woman, or certain genetic predispositions. Breast cancer is 100 more common in women than men. Most of these cancers are found in women over the age of 55, so your risk goes up with your age. 5-10% of breast cancers are attributed to hereditary causes. The most common mutations are those of BRCA1 and BRCA2, in which women have about a 7 in 10 chance of getting the cancer by age 80. Having a family or personal history of breast cancer also increases your risk of developing it again in the future. White women are slightly more likely to have this cancer than African American women. Having dense breast tissue and other benign breast conditions can also increase your risk for developing the cancer. There are several risk factors for breast cancer in which research has not shown a correlation including: antiperspirants, wearing of bras, abortion or miscarriages, and breast implants. There is no research to support any of these would increase a woman’s likelihood of developing breast cancer in the future. While there is no way to guarantee you will not develop breast cancer, as some risk factors are out of your control, there are a few things you can do to help lead a healthy lifestyle and reduce your likelihood. There are some medications for patients to take who are at a known risk for developing breast cancer. A small subset of patients may also consider removal of the breasts or ovaries when they are at a very high risk for developing breast cancer. These options should be discussed with your healthcare provider to determine how helpful they would be and how it may lower your risk of developing breast cancer. While some breast cancers are found after a lump, or other symptoms appear, many women are diagnosed with no symptoms at all. For this reason, regular screenings are important for early detection. Imaging commonly used include: mammograms, breast ultrasounds, and breast MRI scans. If a change in breast tissue is noted with these images, a biopsy will likely be taken to see whether or not it is in fact cancerous. Additional tests may be needed if your doctor suspects the cancer may have spread to other areas of the body. To see the suggested mammogram guidelines from the American Cancer Society, please click here. Every patient is unique and there are many factors that go into developing a customized treatment plan, including the type of stage of the cancer. Local treatments for breast cancer, where only the tumor is affected, include surgery and radiation therapy. Most women will have some type of surgery to remove the tumor, then may need additional treatment depending on the diagnosis. Systemic treatments are medications administered either orally or via IV. These include chemotherapy, hormone therapy, and targeted therapy. You may have a team of doctor to help walk you through your cancer diagnosis. These could include: a breast surgeon, radiation oncologist, medical oncologist, and a plastic surgeon for cosmetic repairs. 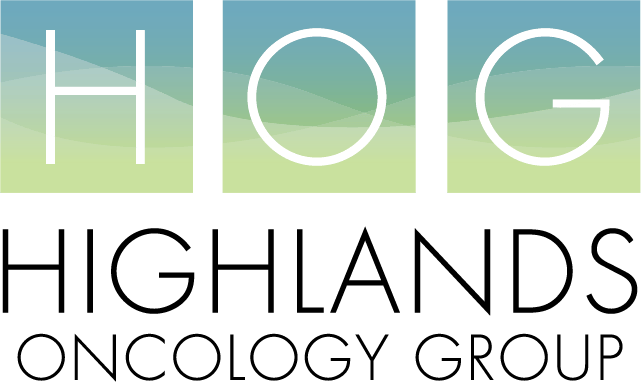 The team of doctors here at Highlands Oncology Group work closely with other specialists in our area to ensure you the best care possible.